Look at the printable owl bookmarks made by Irene at Gi Det Videre! You can print out a card with a branch on which to perch a little bird, just in case you want to give one as a gift. Completely charming and perfect for mailing to a kid. Or keeping for yourself in case you need a dose of cuteness. 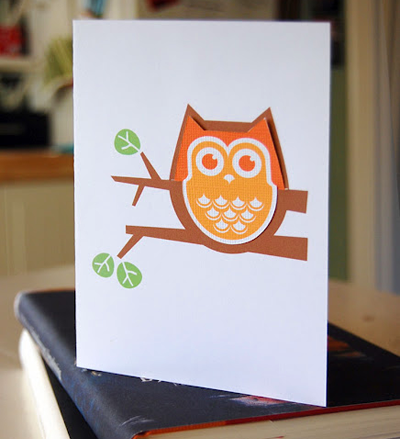 You have read this article cards / downloads / printable with the title Printable owl bookmark and card. You can bookmark this page URL http://jenkrebs.blogspot.com/2012/05/printable-owl-bookmark-and-card.html. Thanks! No comment for "Printable owl bookmark and card"